There’s just something about driving through small towns in Oklahoma that gives you a whole new appreciation for this state. We live in a place where we can experience an exploding downtown and still be able to get that small-town America feel less than an hour away. On my last Keep It Local Instagram takeover, I was able to experience three of these small Oklahoma towns in a totally new-to-me way. I took a drive North and stopped by Guthrie, Stillwater, and Enid to see why these small towns make us anything but a flyover state. 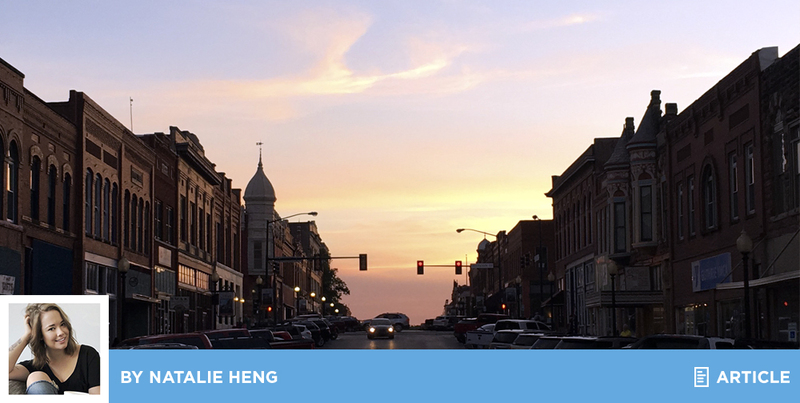 There’s a charm that comes from being in a town with fewer than 12,000 residents (Guthrie comes in at 11,492). The small size is great for city or suburb-dwellers like myself. Guthrie is the perfect escape for when you don’t want to drive too far, but need a break from the hurry of OKC or Edmond. 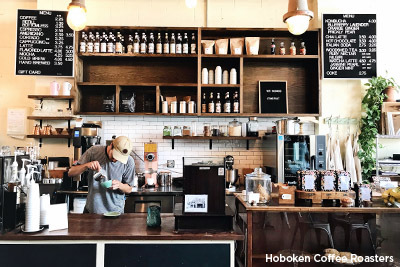 A place that I find myself often is Hoboken Coffee Roasters. It’s a relaxed space ideal for getting lost in a book or just enjoying the sounds of Thelonious Monk on their record player. Go on a roasting day and it’s the perfect place to engage all of your senses. Stillwater is a town that holds fond memories for a lot of people, myself included. Stillwater has a magic that can only be found in a college town, but it’s far more than Eskimo Joes and Cowboy’s games. 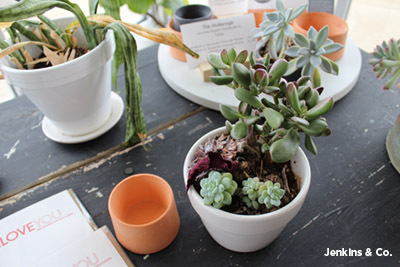 There are plenty of local shops that support locally made products, so the local love comes full circle. 1907 Meat Co. is one of those places. I’ll be honest, I’m not the biggest meat eater, but I’d 100% shop or eat at 1907. I think it’s important (and also cool, in a nerdy way) to know where your food is coming from and who’s making it. It’s fresher, better for you, and since local food reduces the need for transportation, eating locally is good for the environment, too! Wins all around. Pistols firing! Enid was the only small town on this takeover I’d never been to before. Beyond the slightly longer drive (which is good for deep thinking and also singing out loud to Justin Timberlake), this small town has its own tiny treasures, a lot of which can be found at The Felt Bird. I’m always so excited to see shops like this, because to me, they’re a representation of how a town is growing. I wanted to leave that store with so many things (from dreamy dresses to dog bandanas). It reminded me why it’s important to shop small. The people behind the stores are worth supporting. While I only visited three small towns, Oklahoma has plenty more. They’re perfect for a weekend trip, even if that just means exploring the shelves of an antique store to see what makes you laugh or think. Take the drive. Go to a small town. See what really makes Oklahoma unique. 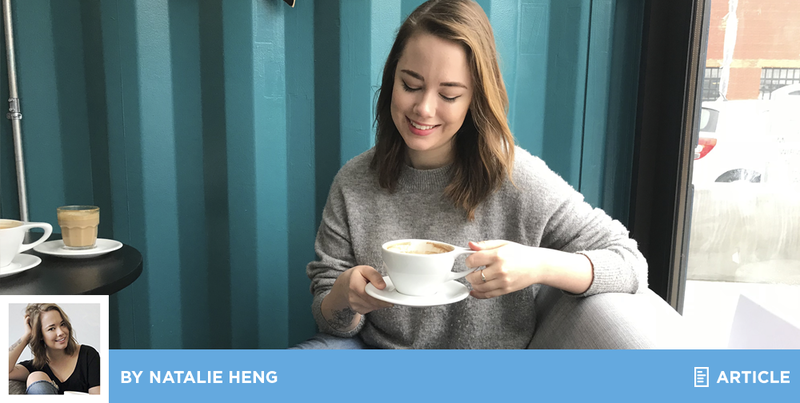 Natalie is the Creative Lead at Keep It Local OK. She loves puppies and matcha. Follow @keepitlocalok on Instagram to catch her district takeovers or follow her at @natalierayh. 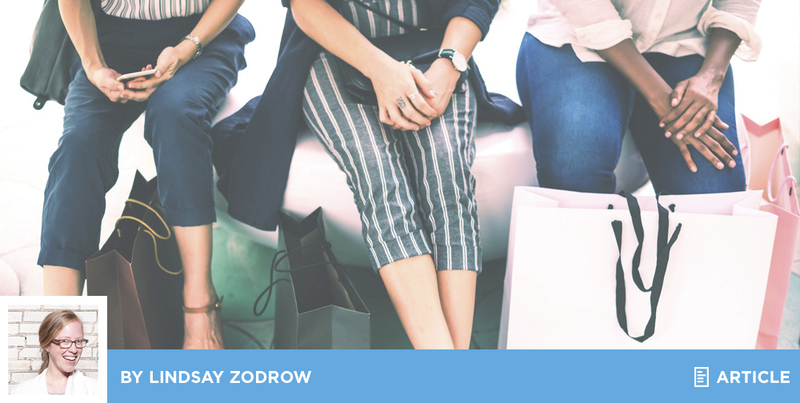 During the time that I was running Collected Thread, I heard customers and friends lamenting on the difficulty of shopping local. And to be honest, a lot of their complaints were mine as well. It is frustrating to get out of the car, get your kids unloaded and grab your bags to realize that the shop owner ran out of lunch or is home with a sick kid. We are so use to it just being a grocery store or a restaurant or a bookstore that we forget that people, sometimes just one person, is running that business. So we get back in the car and try not to be too frustrated and remember that this is a person with needs too. But it is hard. This just railroaded our day and now the kids are losing their minds because the bakery was closed and they wanted a treat or whatever. I think remembering that humanity exists behind this business is good but the frustration is valid as well. The flip side to that is that it sure is a special feeling to walk into a restaurant or shop and know the owner. I love going into Chirps and Cheers and seeing Sami and Susan Kropp. They are two of the kindest people in OKC. Like, they are so kind that it is hard to be in a bad mood when you are around them. I love knowing that when I purchase something, I am supporting them and their darling shop. To me, that is worth the frustration. Another complaint I would hear would be how hard it is to find certain items locally. 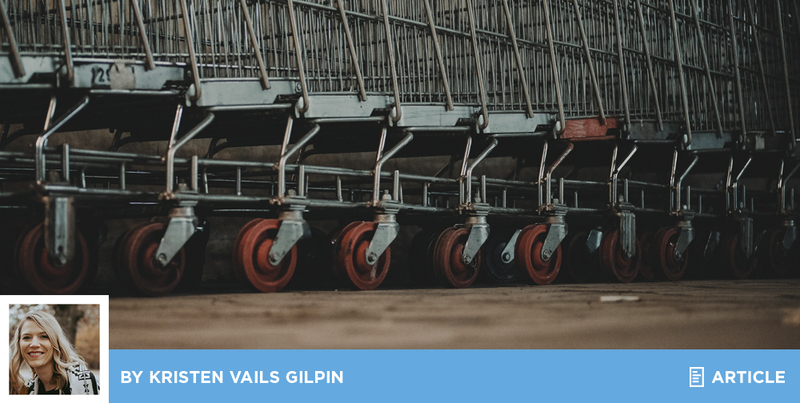 During the big Shop Local movement in Oklahoma a few years back, the message of “Shop Local” somehow got distorted to buy absolutely everything local and if you don’t, you should feel really, really bad about it. I know that is how I felt every time I bought a $5 kids shirt from Target. I would run through the store hoping that I didn’t see anyone that I knew. I don’t think that shopping local means you need to strictly buy local nor should you feel shame when you don’t. I think it is just being conscious of when you can. And sometimes going a little out of your way to do so. Here is a simple example: I needed to buy Easter eggs and candy for both of my sons’ Easter egg hunts at school. I was going to grab them at (gasp) Walmart when a thought occurred to me. “I bet Homeland has Easter eggs and candy and they are a local grocery store!” And they did! Yippee! I don’t think buying local has to be a huge lifestyle change. I think it can be a simple thought process change. Stop and think, is this something that I can buy local or not. Do I have time to make one more stop? Can I get everything I need at Ely’s grocery store or do I need to go to Sprouts? Sometimes you can and sometimes you can’t...or you can, but it is going to add too much stress to your day. That is OKAY!!!!! I do think that a simple pause to reflect on what your options are is all the lifestyle change you need to do. I know my pal, Kristen Vails Gilpin, will be covering this topic a lot more extensively in this blog. She is a wise lady and you should read everything she writes. I just wanted to throw my two cents in there! Empire Slice House, Anchor Down, Marshall Brewery, Dos Bandidos, American Solare, Elemental Coffee, District House, The Mule, Saints, The Union, The Pump, The Pritchard. However, there are a few areas in the food category where sometimes it’s easy to miss an opportunity. We’re not big on eating fast food, but sometimes that’s just what happens. We stick with Sonic and Braum’s as a local option for fast food. There are enough locations spread across the city to keep it convenient, and I honestly prefer the menu over any other fast food chains. I also really appreciate Sonic’s progressive leadership and community investment as a company and Braum’s market offerings for when you just need a few staples. Our household has affinity for cheap beer (don’t worry, we love local beer too). It’d be easy to grab a six pack from any gas station or grocery store, but we prefer to pick it up from the corner store in our neighborhood, the S&S. My husband loves to walk down the block to visit with the store owner, Prince, and I love to have a place to grab a Kit Kat when I’m craving something sweet. Right now, most liquor stores are local, but soon we’ll be able to purchase those items from the grocery store. I want to continue to support my favorite liquor store, Modern Liquor, because they are a familiar face and always give us great recommendations. They’ve even brought in labels we’ve requested. I don’t expect to get that kind of service from a grocery store. On the other hand, groceries are the hardest part of my effort to #keepitlocaler. Anyone who knows me, knows how much I love Aldi. Last summer, I tried to make the switch to a local grocery store but I just couldn’t make it work. Aldi is just a really great fit for us when it comes to budget and quality. However, we have been able to shift some of our grocery budget locally. For the past few months, we’ve been picking up local eggs from Upward Harvest. They’ve recently created a program which delivers local meat and produce to your door. In April, we enjoyed local bison, tilapia, greens, eggs, and herbs. We also pick up a few odds and ends from Crest when we can’t find what we need at Aldi. Braum’s Fresh Market is also a regular stop for odds and ends between grocery shopping. At the end of the month, 67% of our food and drink budget was spent locally. I feel good about this, but I’d love to be able to expand our local shopping to include more locally grown, raised and made options in the future. Remember you can also #keepitlocaler by purchasing locally made food and drink. A few of our favorites include Anthem beer, Big Oak Kombucha, Towhead salsa, and various local honey jars and locally roasted coffee. The reality is, for our city’s most vulnerable, access to quality food is rarely a choice. Supporting local grocers such as Crest, Buy 4 Less and Supermercado Morelos is a great way to support local businesses that provide options and access to groceries for so many in our community. You love Oklahoma and support all things local like the independent shops, restaurants, and services that make our state such a great place to live and visit, but why stop there? 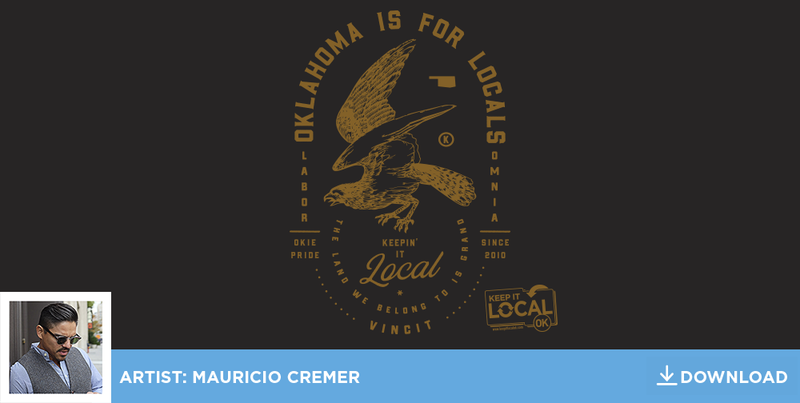 Display your Okie pride for all to see with this free wallpaper for your phone and desktop designed by artist, Mauricio Cremer. Download by clicking on the links below! About the Artist: Born and raised in Costa Rica, Mauricio's creative leanings began at an early age surrounded by an artistic family. From architects to painters, he grew up in an environment of constant inspiration. Now, with over 15 years as a designer & maker, Mauricio has produced multiple award-winning identity and print projects. The takeover that really caused my brain to shift from “There’s nothing new here” to “wait, Oklahoma has one of these! ?” was the Tulsa takeover. The week I spent in Tulsa back in February was full of trying new places and meeting the people behind the counters, storefronts, and Instagram pages. Here are five new-to-me places that I loved getting to see. 01. Blue Moon Café– To the best of my knowledge, I’d never had French toast in my life (I know). Thankfully, Blue Moon Café was there to fix that. They make their bread from scratch so you KNOW it was good. They’re also a full-blown bakery so you can take goods home and try your hand at making French toast yourself, if you’re ambitious. This is one of those shops I would go to if I just moved into a super cute house and needed the inside to look like one of my Pinterest boards. I’m not kidding, I wish I could’ve taken home every chair and trinket I saw in there. What’s good about local home and gift stores is everything is so much more personal. Whether it’s something for yourself or a friend, it already has more of a story than just some pillow from Target. That, and you get to talk about a cool, local business to someone else! 03. Made – I felt the same way about Made that I did about Jenkins & Co., but Made is a little bit more gift-centered rather than home-centered. That being said, I still left with some awesome little succulent planters that are now one of my favorite things in my apartment. 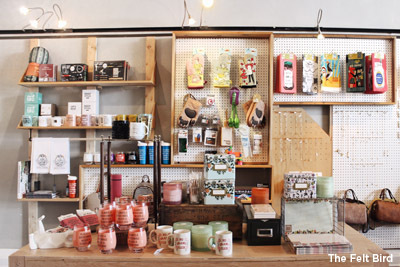 They’ve got everything from vintage jewelry, to bath goods, to t-shirts. Made is one of those stores you go in to be surprised and walk out with something you didn’t know you needed. 04. Topeca (Philcade) – The newest Topeca location is in the Philcade building downtown. The Philcade building is an Art Deco lover’s dream. I got to see the new location while it was being built and just went back last week to see how it turned out. Topeca totally honored the style of the building. Between the black and white tile, gold bar stools, and a window that looks out onto the most gorgeous lobby, it’s easy to be transported back in time. Oh yeah, and they have good coffee too (but everyone in OK already knew that!). 05. STEMcell Science Shop – Oh how I wish this was around when I was a kid. 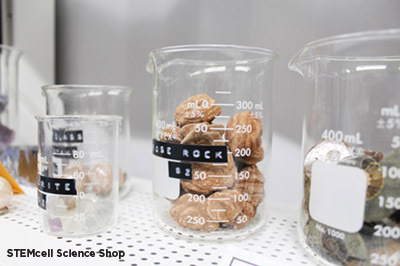 STEMcell Science Shop is a little white shipping crate in The Boxyard filled with gadgets and curiosities that can even make adults geek-out (anyone in need of a dinosaur skull for their mantel?). It’s such a cool, niche shop that I hope encourages other unique stores to pop up as well! Tulsa has always been a favorite of mine for a day trip, and these local businesses have made my more recent trips even more fun. They’ve also helped me realize that how you spend your money can actually shape a city. If the STEMcell’s and Made’s of a city are supported by how people choose to spend their money, we’ll only continue to see awesome small businesses grow (which can lead to a city’s economic growth, walkability, I could go on!). So go take a trip to Tulsa for yourself and see what other cool businesses exist out there that you wouldn’t have known of otherwise.